While the number of insolvency cases is expected to pile up over the next few quarters, the timely conclusion of cases within the law-mandated 180-270 days can free up as much as Rs 67,000 crore to the system, says a report. 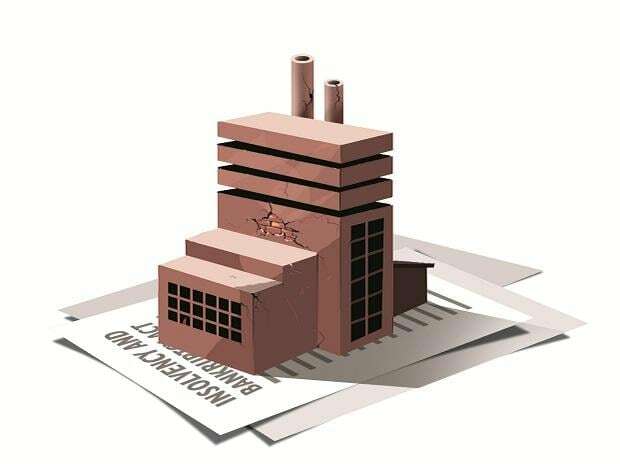 Since the bankruptcy law came into being from May 2016, close to 3,000 companies have been sent to various NCLTs for resolutions, of which only 586 have been closed so far, while 63 have been withdrawn after the law was amended last year under which Section 12A has been inserted into the original law. According to Icra, as of December 2018, as many as 898 corporate insolvency cases are awaiting a resolution as against 768 cases as in September 2018. Up to December 2018, only 79 cases have yielded a resolution, while 302 cases have entered into liquidation, which is a very high proportion. According to an estimate by the agency, "The timely conclusion of pending entities can bring in additional Rs 65- 67,000 crore to the financial creditors, which is equivalent to about 6.5 per cent of gross NPAs in the system." This is a sizeable figure considering 79 resolved cases so far have helped the financial creditors realise close to Rs 65,000 crore, either upfront or in a staggered manner, notes the report. "Almost 68 per cent of the NCLT cases have already exceeded the 270-day timeline allowed under the law. Moreover, those cases already resolved as of the December quarter have taken an average 354 days compared to 340 days taken in the September quarter. In fact, over the past one year, the resolution time has gone up," it said in a note Tuesday. Even for the seven pending cases from the first list of the 12 largest accounts identified by the Reserve Bank in June 2017, their average duration exceeded 500 days. Such long delays do not help the sentiment, the report adds. The report further says the haircuts taken by the financial creditors have also seen a mixed trend depending on the relative health of the corporate debtor's assets, the willingness of the resolution applicant to enter a particular geography, among others. The haircuts have been as high as 94 per cent for certain cases, while in some other instances, there have been no haircuts for the financial creditors. On an average, the financial creditors have taken a haircut of 52 per cent. The delay in the resolution is also pushing lenders to look at the outright sale of their loan exposure. From an overall perspective, the report notes that the IBC's success has been a mixed bag so far. Nonetheless, it is encouraging to note that despite the long delays in resolution, the operational creditors continue to take the lead in triggering the insolvency. Of the total cases admitted up to December 2018, operational creditors have referred 50 per cent of them, while the financial creditors did only 38 per cent of the cases, with the remaining referred by the corporate debtor itself. In addition, the introduction of Section 12A to the IBC in August 2018, which allows for withdrawal of the corporate debtor from the bankruptcy with at least 90 per cent vote of the committee of creditors, is a positive step to achieve a speedier closure when a corporate debtor.